When one of the most talked about summer festivals/tours happens only a half hour away, you feel somewhat obligated to go. Also, when your wife says she’d really like to go, you feel somewhat more obligated to go. 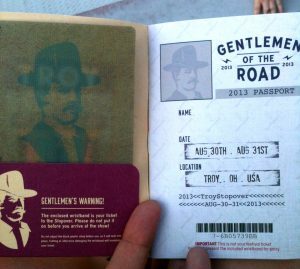 Both of these factors led to my “Sure, why not?” decision and even without any expectations, Mumford and Sons’ Gentlemen of the Road, Troy Stopover handsomely poll vaulted over them to become one of the most enjoyable summer festivals of the year. 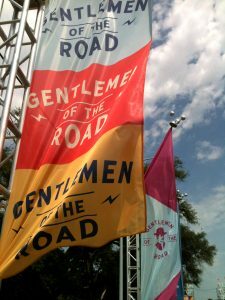 The music isn’t what really brought me to The Gentlemen of the Road Tour and ultimately (while very enjoyable) wasn’t what made it so great. Still, it was primarily a music festival and we are primarily a music website so let’s chat about it. PHOSPHORESCENT are great. Hopefully you know that, but if you don’t go use Spotify or YouTube or even buy an album! The songs were definitely more rocking live and their set ended with an absolute scorcher of a jam. I’m not sure how appreciated they were by the more radio-friendly majority of the crowd, but at the very least horizons were broadened. EDWARD SHARPE AND THE MAGNETIC ZEROS brought their hippie weirdness in spades, falling somewhere between The Polyphonic Spree and Devendra Banhart. Through their psychedelic video presentations, off-the-cuff setlist and willy-nilly throwing about of lead jams and verses (including an audience member who, surprisingly enough, held her own pretty damn well), it felt like you could have been at a jamband festival… except without all of the wanting to die. RUBBLEBUCKET weren’t on their a-game this weekend, as the sound didn’t seem all that well mixed or maybe something else was throwing off the first half of their performance. Still, they’ve been great in the past so I wanted to mention what’s normally a fist-pumping-good mix of 80s pop and Broken Social Scene. OLD CROW MEDICINE SHOW sounded surprisingly country, which was sometimes alright and other times… well, let’s focus on the good. There’s no denying they could rip. MUMFORD AND SONS eroded some of my cynicism earlier with the recently released “Hopeless Wanderer” video (absolutely worth Googling), further warmed me with a masterfully executed music festival and then topped it off with a pretty great set. It was a lot more Coldplay than jamboree and only after about an hour of that sort of swelling emotional anthem format did it begin to wear a little thin. They ended the set by somewhat cryptically talking about taking some time off, so hopefully this leads to a few new ideas and directions for the band. THE BUSINESSES AND THE CITY OF TROY, who did an amazing job of hosting The Gentlemen of The Road Tour and transforming a sleepy Ohio suburb into Austin, Texas at SXSW for three nights. 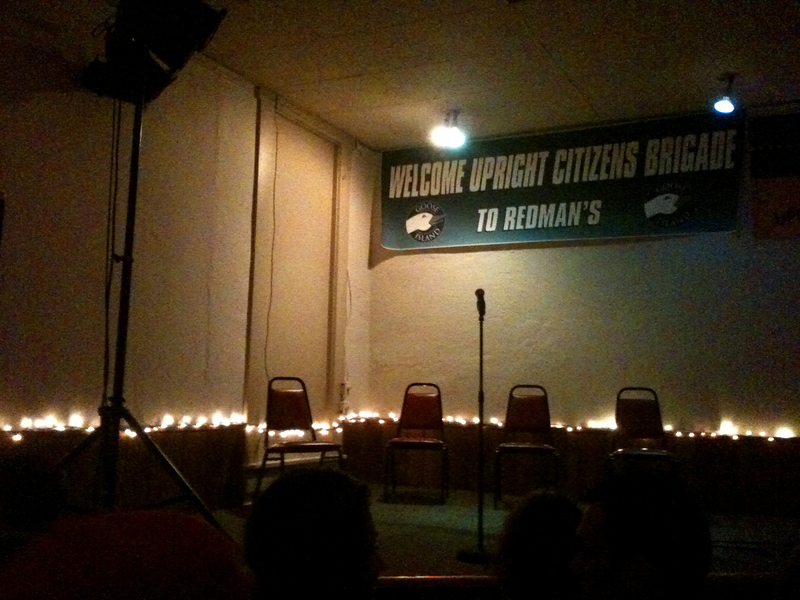 UPRIGHT CITIZENS BRIGADE’s late night comedy improv, which even without Horatio Sanz was a great added bonus. 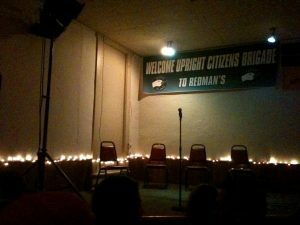 Two nights of two shows apiece, all of which I’m pretty sure (rightfully) sold-out. GOOSE ISLAND’s STOPOVER ALE wasn’t really anything to write home about, but as a nerd of all varieties, I always love a specialty ale. THE DESIGN. 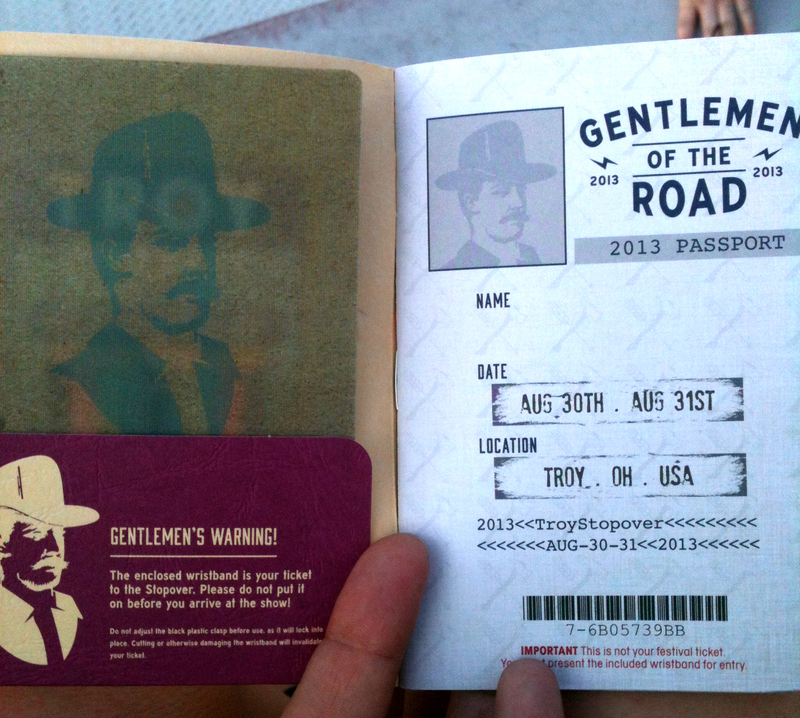 While this is kind of a nerdy thing to appreciate, it’s hard not to marvel at all the great work that went into The Gentlemen of The Road’s presentation. Hundreds of colorful banners, uniformed vending booths, have you ever wondered what a Wes Anderson curated music festival would look like? This is it!